The Western Cape recently suffered from a severe water crisis. The Atlantic Beach Hotel remains committed to saving water where possible and we continue to practice the various water saving initiatives we implemented during the crisis. In addition to other initiatives, one of the steps taken was the permanent closure of our outdoor pool. This facility has since been renovated and we are delighted to announce the opening of our new SUNKEN GARDEN outdoor venue that has replaced the swimming pool. We thank you in advance for your understanding and continued support of our water saving initiatives. This privately owned and independently managed hotel was established in 2009 and is decorated in rustic and muted tones reflecting the hotel’s beach-side location. The Atlantic Beach Hotel offers guests a variety of modern facilities, 36 spacious en-suite bedrooms and 2 suites. Managed by a team who pride themselves on their friendly, personal and professional service, whether your visit is for business or leisure, we aim to make your visit an enjoyable one. 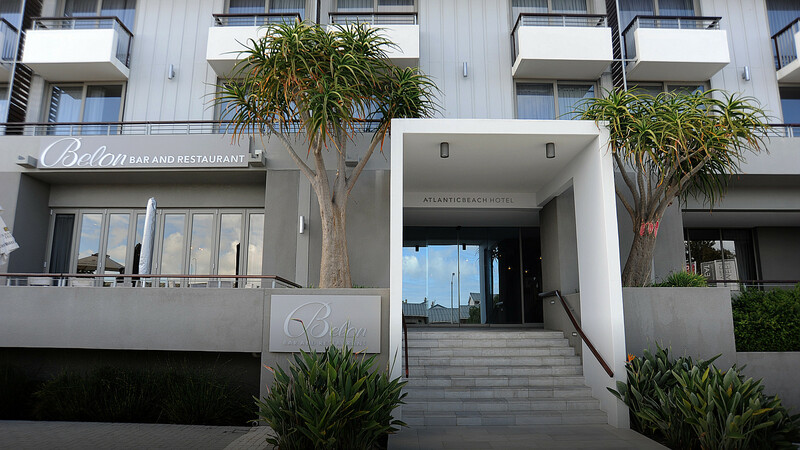 Situated approximately 30 kilometers from Cape Town’s city centre and approximately 40 kilometers from Cape Town International Airport, the Atlantic Beach Hotel is an ideal venue for a relaxed getaway, meeting or conference.